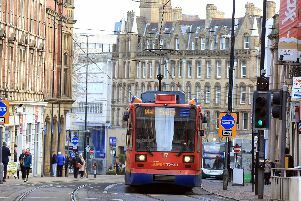 Police have warned Sheffield drivers that they will be out in force across South Yorkshire this Christmas. The force launched its annual Christmas drink and drug driving enforcement campaign on Sunday and have already been on the roads stopping drivers. Officers will be cracking down on motorists driving under the influence of alcohol of drugs over the festive period. The scheme will see officers carrying out routine patrols of the roads across South Yorkshire to ensure everyone is driving safely. The campaign will run until January 2019.